Today's Words for Wednesday post is from the book I am currently reading LOVING! I devoured it! Sarah Addison Allen is a beautiful storyteller. I have loved all of her books with their small town feel filled with bits of magic. They are always just a perfect dose of sweetness for my soul and First Frost was not different. I would highly recommend it. Here's a peek at some of my favorite quotes and maybe you will see why. 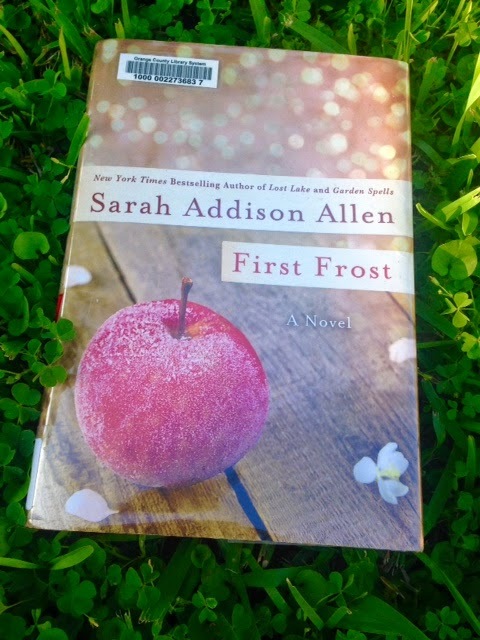 *If you do choose to read First Frost though, start with Garden Spells. It is one of her earlier books and features the same characters. "A woman's ability to surprise herself is far stronger than her ability to surprise others." "Somehow, it's the real stories that are the hardest to tell." "...a prison sometimes isn't a prison at all. Sometimes it's simply a door you assume is locked because you've never tried to open it." "Happiness isn't a point in time you leave behind. It's whats ahead of you. Every single day."